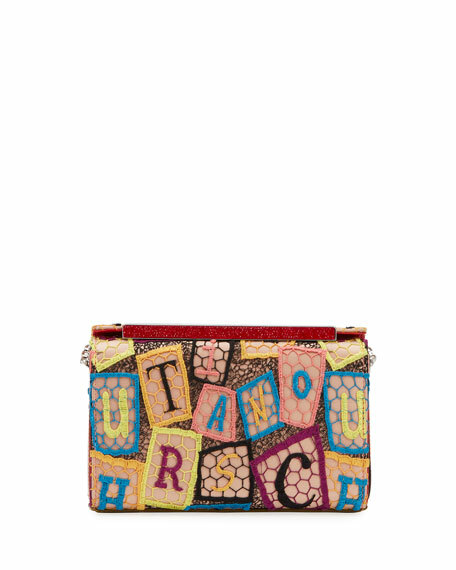 Proenza Schouler suede clutch bag. Flap top with hammered ornament. 6"H x 8"W x 2.5"D.
"Curl" is made in Italy. Exclusively ours. 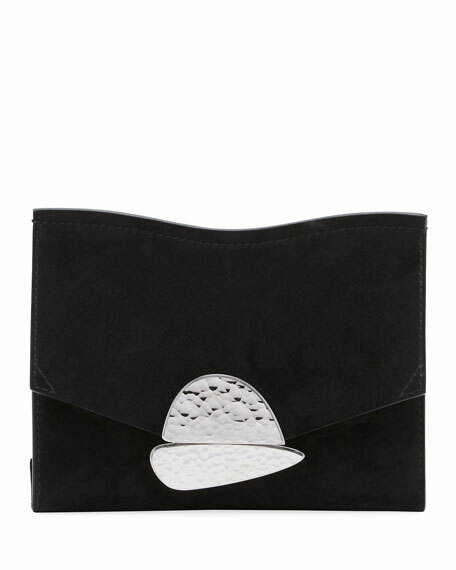 ADEAM calf leather clutch bag in half moon silhouette. Removable shoulder strap. 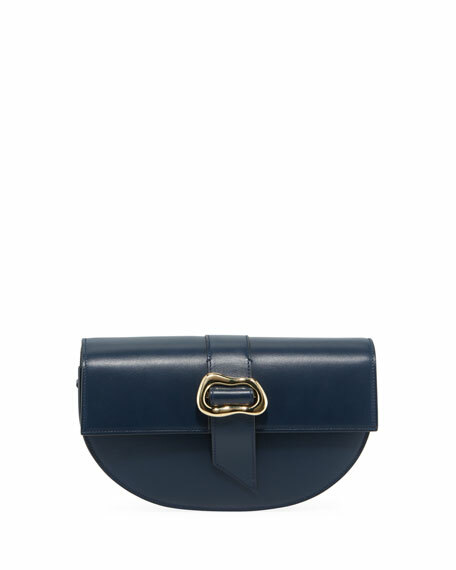 Flap top with oblong buckle detail; snap closure. Interior, suede lining; one zip pocket. 4.7"H x 9.3"W x 2"D. "Soiree" is made in Italy. 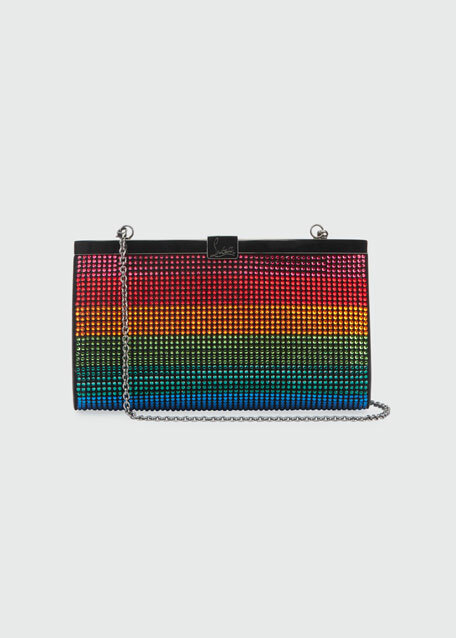 Christian Louboutin clutch bag in rainbow crystal-encrusted suede. Removable chain shoulder strap, 22" drop. Framed top; lift-lock closure. Signature red fabric lining. 4.5"H x 7.9"W x 2"D. Made in Italy. 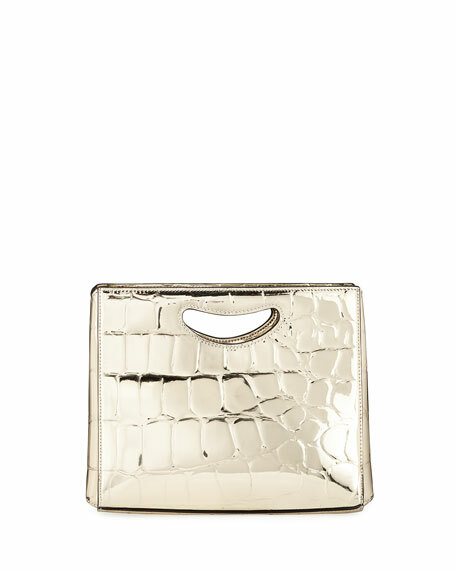 Hayward embossed clutch bag in metallic faux-leather. Cutout top handles. Open top with center magnetic flap. Exterior, metallic logo detail at bottom front. Interior, suede lining; two card slots. 8"H x 10"W x 5"D.